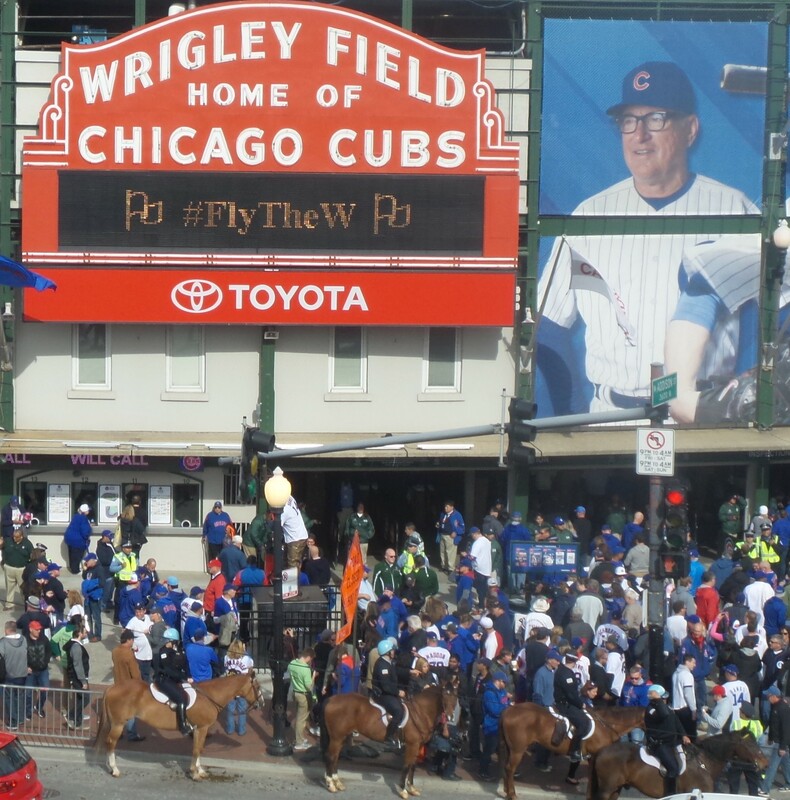 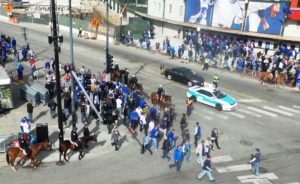 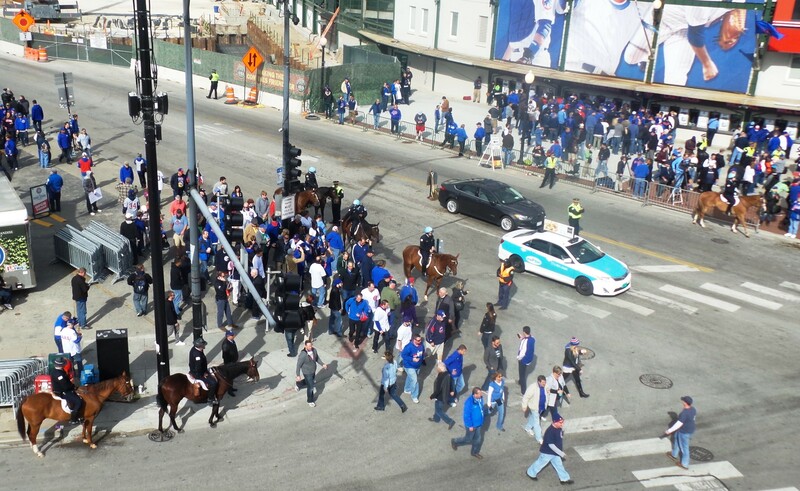 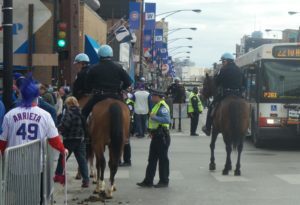 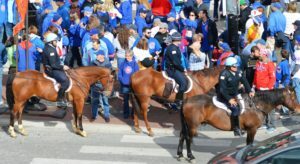 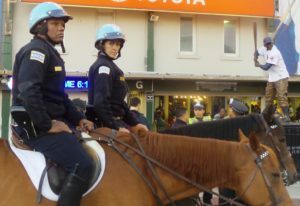 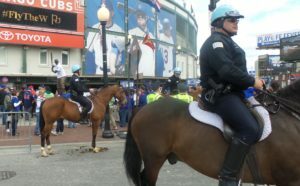 On October 13, 2015, as Cubs fans crossed at Clark and Addison to attend a post-season game against the St Louis Cardinals, they most likely passed the horses named for Chicago Police Officers killed in the line of duty, Casper, Kelly, Solario, Hauser, Francis, Kilroy, Marquez or one of their partners that ensured all fans were safe to and from the ballpark. 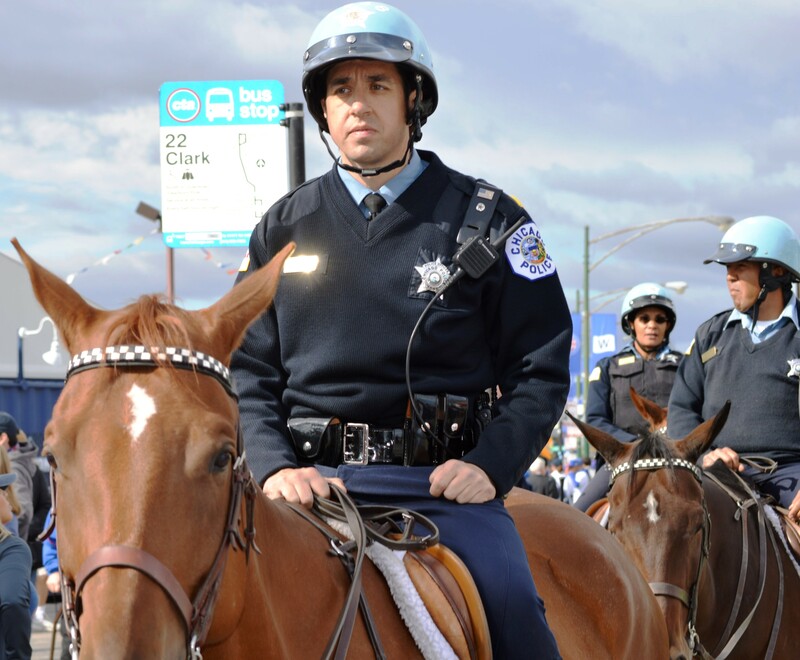 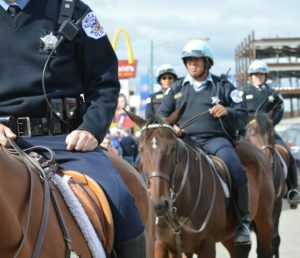 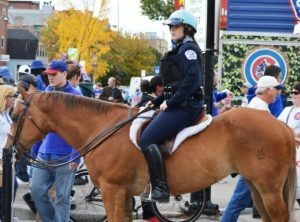 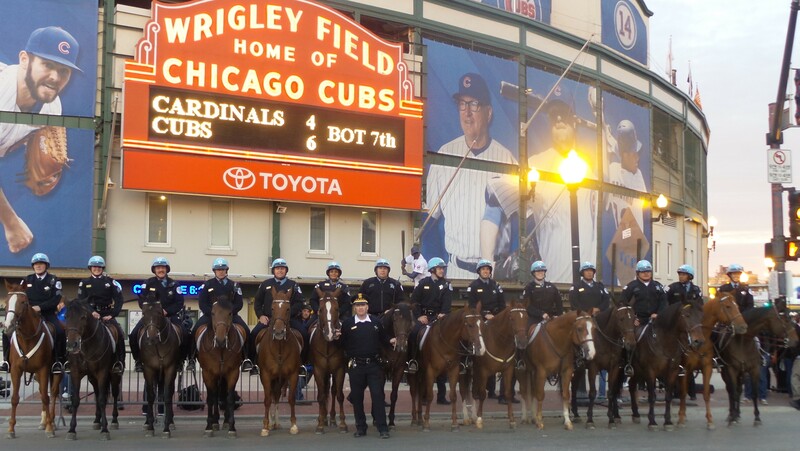 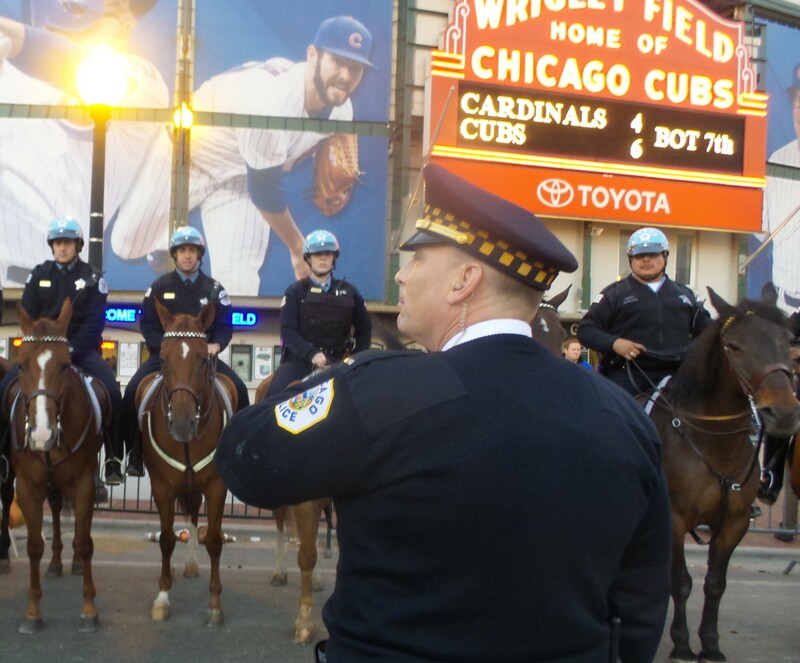 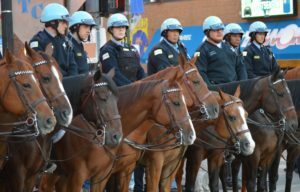 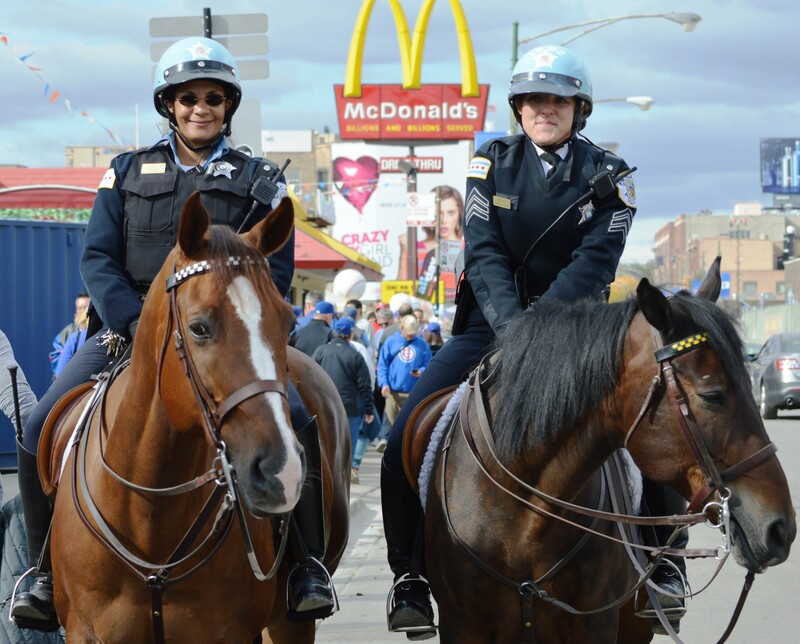 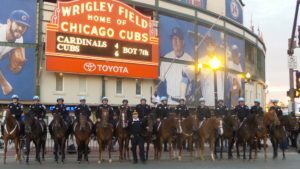 The Chicago Police Department’s Mounted Unit, as always, showed their exemplary training and professionalism as the Chicago Cubs went on to win the game (#FlyTheW) to advance to the National League Championship Series. 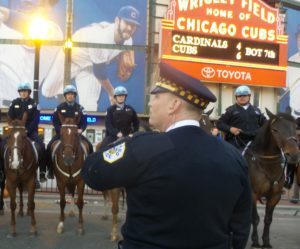 When the long day was over, after all the fans had left, Casper, Kelly, Solario, Hauser, Francis, Kilroy, Marquez and the others “headed back to the barn”, to rest and prepare for the next tour of duty. 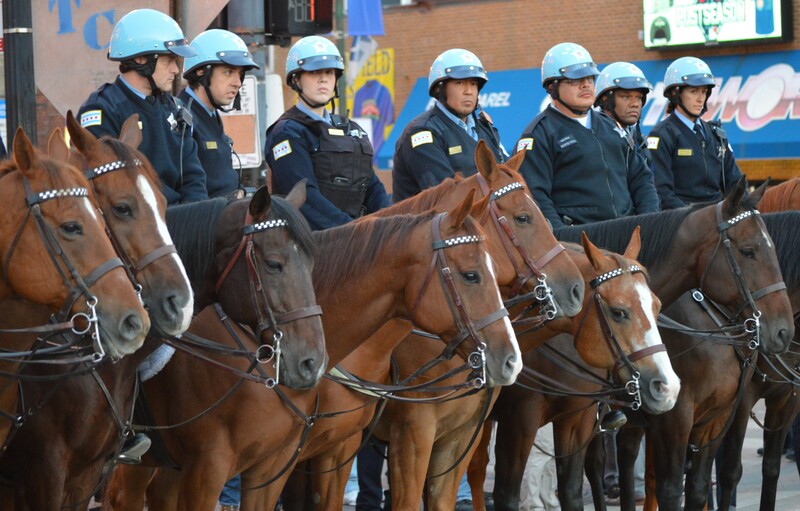 Thank you Mounted Unit for your service.